This guide is designed to offer travelers with disabilities an authoritative source of information about the Air Carrier Access rules: the accommodations, facilities, and services that are and are not required. This website contains information about products and services designed for passengers with disabilities. This website contains disability-related laws and resources about the Air Carrier Access Act, which prohibits discrimination in air transportation by domestic and foreign air carriers against qualified individuals with physical or mental impairments. If you’re traveling with group of wheelchair users, you and/or your travel agent will need to plan ahead. 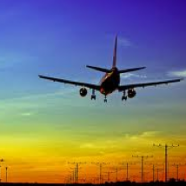 It is vitally important for travelers with disabilities and their companions, travel agents, and others involved in air travel to know what to expect from the time an airline reservation is booked to the moment the flight touches down. To assist passengers with disabilities the federal government passed the Air Carrier Access Act of 1986 (ACAA) which affects all aspects of air travel. This booklet provides people who use wheelchairs and other mobility aids with all the information they need to have a safe and enjoyable flight (Includes regulations effective May 13, 2009).